Drawbridge sluitsysteem voor razendsnelle wissels. Smooth internal lining for “sockless” riding fit and comfort. When seconds count (which is really every triathlon if we’re being honest with ourselves), your shoes need to get you through the transition quickly. More so, they need to deliver maximum performance out on the road. 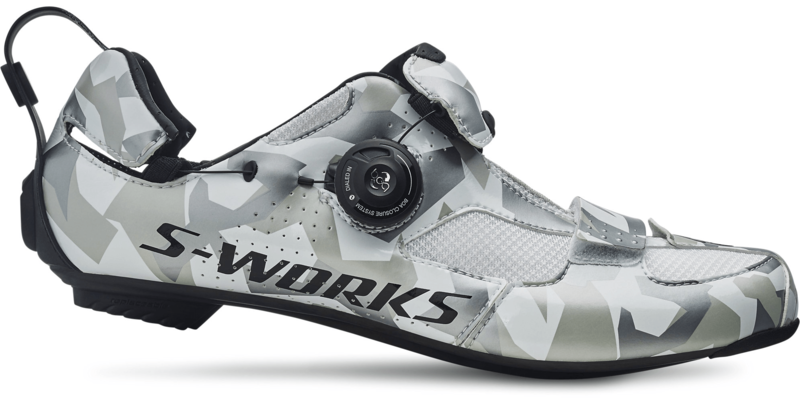 That’s why we designed the S-Works Trivent for the highest level of competition, so we can sleep easy at night knowing that they’re the most highly engineered triathlon shoe in the world.